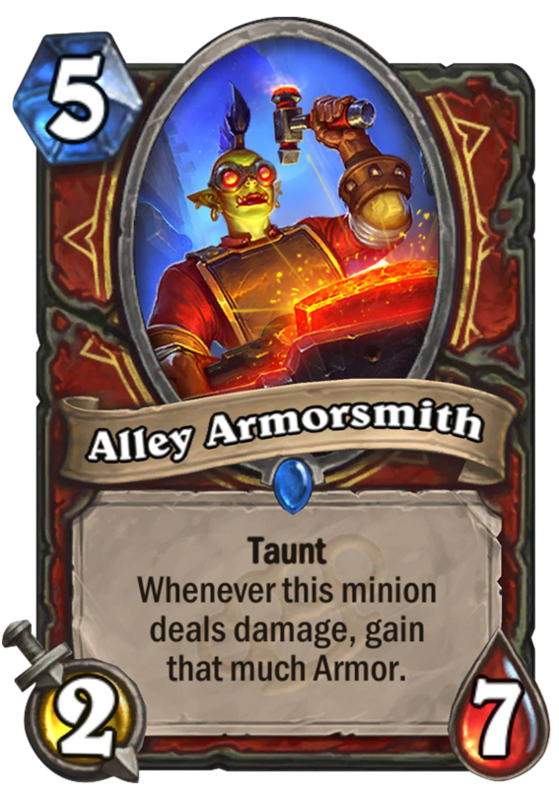 Alley Armorsmith is a 5 Mana Cost Rare Warrior Minion card from the Mean Streets of Gadgetzan set! 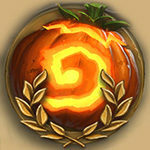 Taunt Whenever this minions deals damage, gain that much Armor. The rent is cheap and she passes the savings onto YOU! Rating: 3.5/5. From 1530 votes. The thing I feel is very relevent to this card is that it is a taunt minion and in the grimy goons family. 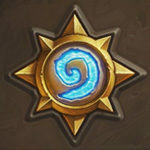 as a single card it is okay, but with the combo potential it is much stronger. from bolster to make it a 4/9 when on board or any of the many grimy goons that can boosts its stats outside of priest’s mind control range (short of the 10 spell or sylvanus). that i believe makes this a much more than 3.4 star card imo. I’m so happy, finally some tools to deal against warriors.